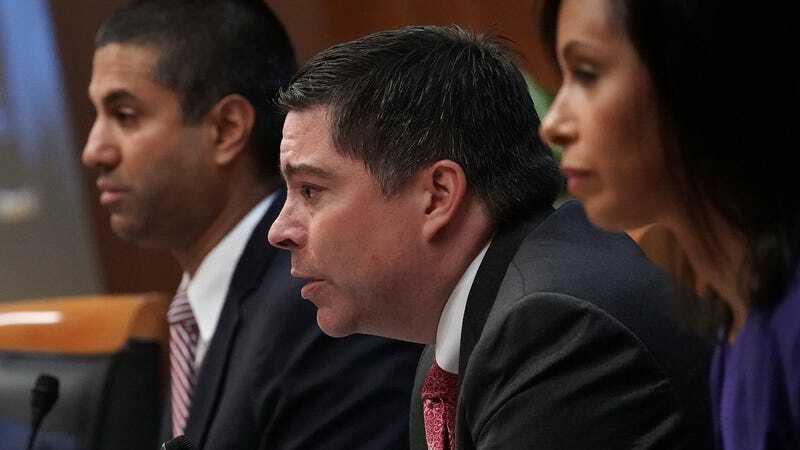 The federal agency charged with policing the political activity of federal employees has determined that FCC Commissioner Michael O’Rielly violated federal law in February when he instructed a crowd of people to vote for President Trump, according to a letter obtained by Gizmodo. The determination came in response to a complaint filed by American Oversight, a non-partisan watchdog group led by Austin Evers, former senior counsel at the US State Department. “Commissioner O’Rielly flouted the requirements of his position when he pushed for Trump’s re-election, and OSC’s conclusion that he violated the Hatch Act confirms our concern that O’Rielly is undermining the independence of the FCC,” Evers said. Evers was not satisfied, however, with OSC’s decision to simply warn O’Rielly. “Public trust in the FCC won’t be restored until O’Rielly resigns,” he said. Incidentally, because O’Rielly is a presidential appointee and policymaker confirmed by the Senate, President Trump has sole authority to decide if O’Rielly should be face disciplinary action. In February, O’Rielly attended CPAC where he spoke on a panel alongside FCC Chairman Ajit Pai and fellow commissioner Brendan Carr. O’Rielly was introduced using his government job title and spoke primarily on topics related to FCC business, leaving no doubt that he was attending the event in his official capacity. The FCC did not immediately return a request for comment. Experts Say an FCC Official Broke the Law to Help Trump. Trump Alone Will Decide If He&apos;s Punished.